One of Theo Fabergé's greatest loves was his garden. Consequently he designed a series of Eggs with this theme. In particular his favourite flowers were Orchids, Roses and the more exotic, Bird of Paradise flower. This became part of a mini-series: The Red Rose Egg, The Pink Orchid Egg and finally now the Bird of Paradise Egg. 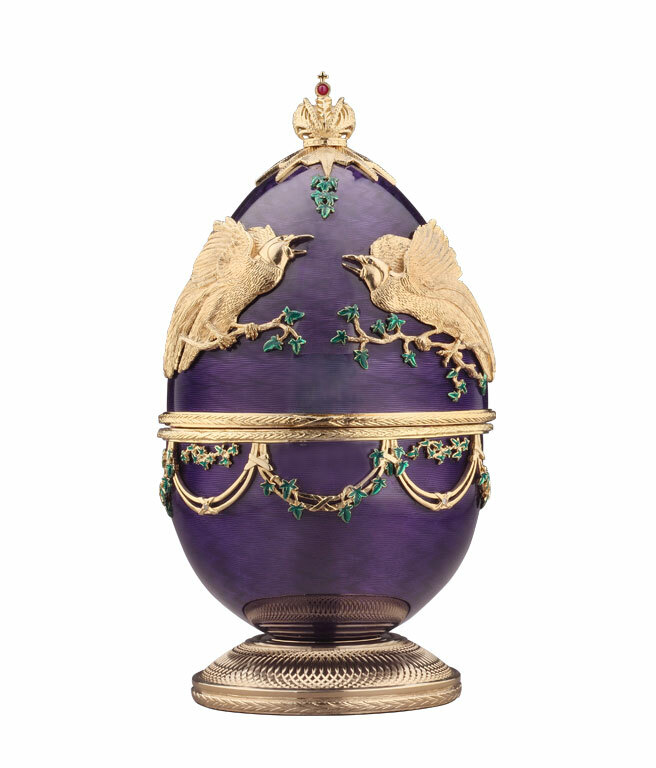 The Bird of paradise Egg is created in deep luxuriant purple guilloche enamel over sterling silver and pure 24 carat gold. 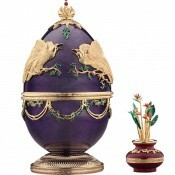 The egg is surmounted with a Romanov crown set with a cabochon ruby. The ruby being Theo's favourite gemstone. To the front of the Egg is a pair of loving birds of paradise parading with each other. The birds are standing on golden branches with green enamel leaves. To the lower part of the egg are swags intertwined with tropical forest vines, again the leaves are in green enamel. The base is ornamentally turned on Theo Fabergé's Holtzapffel lathe from 1860 and is further engraved underneath with Theo Fabergé's name and the serial number of the creation. 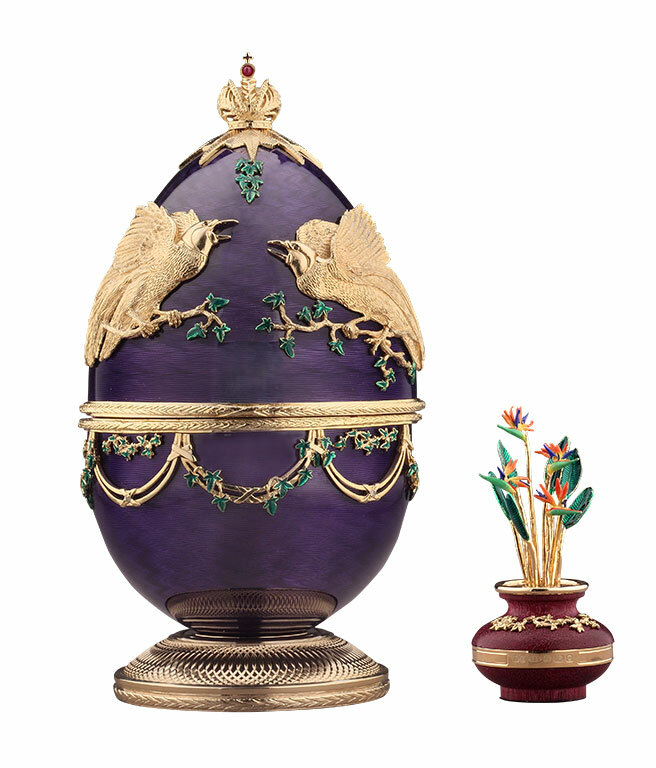 The surprise, resting within crushed purple velvet, is a Purple Heart wood flower pot decorated with vines and filled with a Bird of Paradise plant in full enamel colours. The soil of the pot is engine turned in sterling silver and gold. The pot is further embellished with a gold band bearing the full hallmark including Theo Fabergé's personal mark. 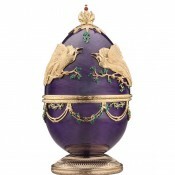 Each Bird of Paradise Egg is accompanied with a gold solid wood carriage case and a certificate of authenticity. Materials: Sterling silver, 24 carat gold, enamel and purple heart wood.